Iqbal Masih was shot dead on a dusty road outside of Muridke, Pakistan. He was 12 years old. We received the news at our office the day after he was murdered. Iqbal. Ali Ahmed Elman. Adauto Alves. Alphonse Nkubito. I was only 25 years old but the list of people I knew who were dead–whether they were murdered, died in unclear circumstances, or of AIDS–was growing. That’s one of the worst things about working in international human rights. Brave activists who champion the rights of carpet factory slaves (like Iqbal), or who rehabilitate teenage soldiers in Somalia (like Elman), or who combat the prejudice against the HIV positive on the streets of Brazil (like Adauto), or who push for peace between the Hutus and the Tutsis (like Alphonse), often die. And usually at the hands of the powerful warlords against whom they are peacefully waging battle. “I want to do what Abraham Lincoln did,” Iqbal said in a documentary film that we made about his life. He had decided to become a lawyer, to fight the Pakistani legal system from the inside and find a way to liberate the slaves. When I met Iqbal he looked both younger and older than his 12 years. He was tiny, his growth stunted from years of malnutrition. His hands were leathery and crisscrossed with scars, his back hunched. A Christian, Iqbal was “apprenticed” (we would say sold) to a carpet factory when he was four years old so his parents could pay for an older brother’s wedding. Iqbal’s labor was to work off the debt. The U.S. Department of Labor estimates that there are between 2 and 19 million child laborers in Pakistan, which is a predominantly Muslim country. Most of these children who are bonded laborers are Christians, and most become enslaved the same way Iqbal did, because of unpaid debt. Iqbal told us that children were often chained to the looms at night so they would not run away. The same tools used to make carpets were often used to beat the children. He remained a slave for six years until he managed to run away to the Bonded Labor Liberation Front, a nonprofit run by one soft-spoken, courageous Pakistani who had no children of his own, Ehsan Ullah Khan. I stood there trying to make sense of what Paula was saying: that Iqbal was dead, and that maybe it was our fault. Our fault. Our fault. Our fault. In December 1994, we had honored Iqbal with a Youth-in-Action Award. 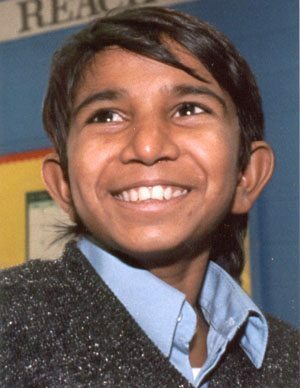 He and Khan had come to the United States to receive the award and educate Americans about the awful plight of child labor. They visited schools and human rights groups, Iqbal spoke (through a translator) at an award ceremony with 2,000 people in attendance, appeared on TV and visited stores that sell Pakistani carpets. Then on Easter Sunday 1995 he was murdered. Khan told me on the phone he was sure it was the carpet factory owners who had killed him. The official Pakistani story was absurd and disgusting (they said Iqbal and his friends stumbled upon a man fornicating with a donkey and the man shot him), and no forensic evidence was ever found to substantiate the outlandish claims. Iqbal’s outspoken advocacy against child labor was obviously a threat to the status quo in Pakistan. I saw pictures of his dead body, his once animated and earnest face now completely silent, as he was laid to rest in a grave. By publicizing the issue with the story of one incredibly intelligent, articulate, and dedicated little boy, we did inadvertently put that little boy at risk. But in some ways we are all complicit. It is the United States (and other wealthy countries like Germany and Japan) that provide a market for Pakistan’s carpets, towels, surgical instruments and sporting goods, all of which are often made by child laborers. Iqbal died on behalf of the millions of children who have no voice. I hope one day they will be heard, and freed.